"… we humans need to be rooted in good earth in orde﻿r to produce good fruit. But for this we need to freely risk life in order to give of ourselves." Our Catholic Faith teaches that all persons are dignified, self-directed and capable of responsibility. Our role as Catholic principals is to foster a sense of community within our schools that respects that all people are social beings as defined by their family and culture. This is reflected in Paul’s words in Romans 12:3-8 when he speaks about serving God with Spiritual Gifts. Paul explains that it is important to “not think of himself more highly than he ought to think, but to think soberly, as God has dealt to each one a measure of faith.” God is reminding us that as administrators and faith leaders we are not above or better than the many we serve and we must understand that each person we serve has also been given the same measure of faith by God. 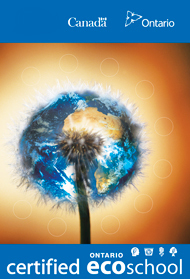 Collectively we must find community in one and throughout our shared gifts we can do His work. This Scripture passage explains that although all members do have the same function or role all members are “one body in Christ”. The passage is also a reminder of the gifts that we have been blessed with! We all are created in His image but are further blessed through these gifts to be enable to do His work. As administrators, Paul’s words remind us that when leading we must do so with diligence. God is asking us as faith leaders in a Catholic school to undertake this important role with attentiveness and conscientiousness. Paul’s message reinforces equality because it recognizes the value of all. This passage explains to faith leaders that everyone is in this together. A ship needs more than a captain to sail. A school requires a passionate leader to set forth a clear direction but it also requires a committed staff to share that vision and to work collectively. Evidence: Guidelines for Parish Volunteers that I received during my training. 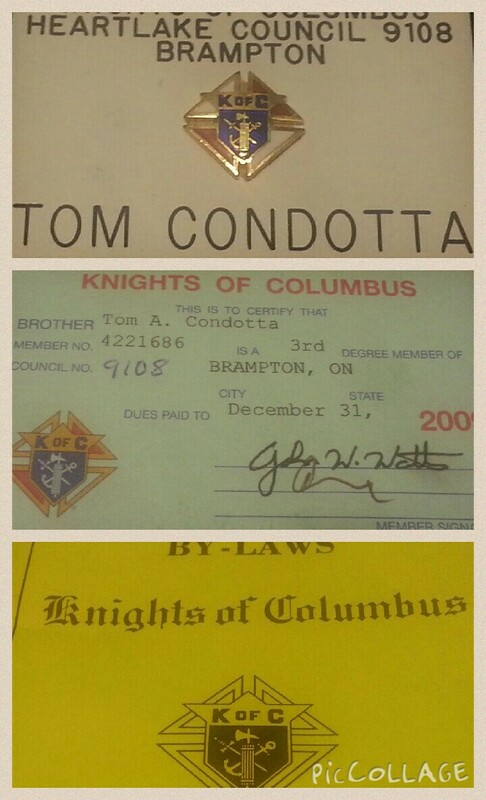 Evidence: Collage of Knights of Columbus name tag, membership card & By-Laws. Participated in the five module professional development series. Workshops addressed a variety of issues related to diversity, equity and inclusion within the context of creating Catholic conditions for learning. Attended the Catholic Community Culture & Caring: Whole School Approach workshop in 2013 where we reviewed, shared and refined existing CCCC SMART goals and plans. 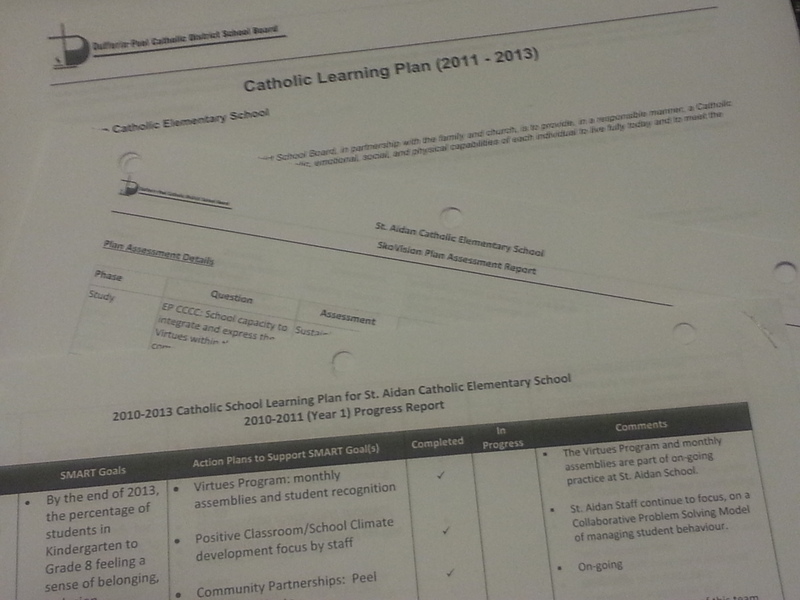 As a committee, we looked at School Climate Survey results and developed an action plan. Attended the Accepting Schools Act - Policy Implications workshop in 2012. Presented at staff meeting a summary of Bill 13 on accepting schools act and strategies for progressive discipline. Was inspired by this experience to coordinate with staff and students annual bullying awareness weeks. In more recent years, we look at the Ministry priorities (High levels of student achievement, reducing gaps in student achievement, and increased public confidence in publicly funded education), School Effectiveness Framework, Catholic Board Learning Plan, Catholic School Learning Plan and at various data (Ex. Safe School Climate Survey, EQAO, CASI, PM Benchmarks, etc.) which influences our theory of action. Consulted with administration to complete SkoVision reports. 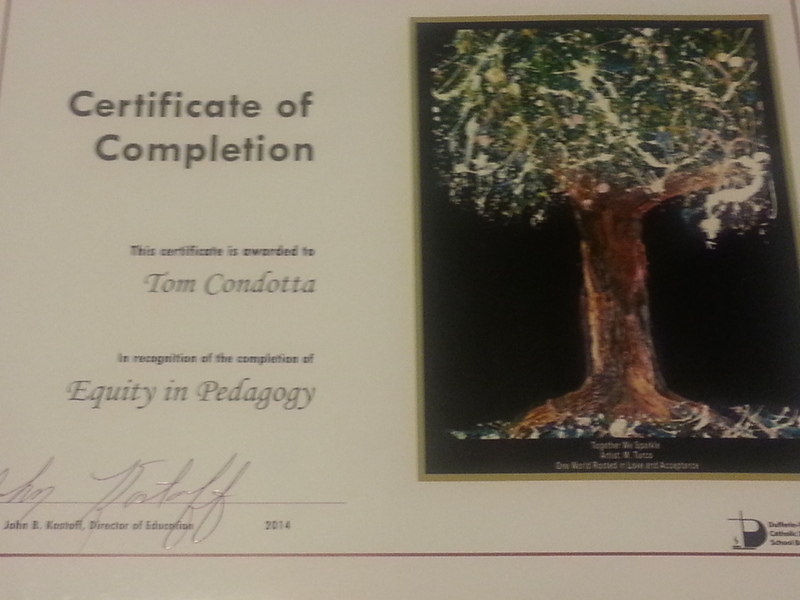 Represented staff and school interests to ensure equitable practices.